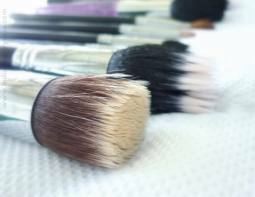 Clean your makeup brushes of makeup and dirt with this easy recipe! Ok–time to take a little breather from the endless D.I.Y. posts I’ve been making lately to do a review! 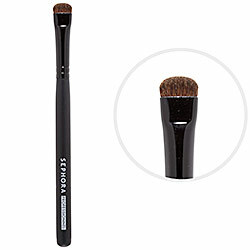 I’m really loving this all over shadow brush-so much that I use it daily! I love the size of it because it allows me to cover large areas of my eyelids with one to two sweeps rather than having to do a bunch of applications using a small brush. I actually love using this brush to do my eye shadow base since the base covers the largest area using one color. The brush has firm yet soft bristles. They are soft on my skin yet firm enough that I can build the level of shadow coverage that I desire. I’ve washed this brush countless times too and have not had any issues with it. The bristles haven’t frayed and haven’t been shedding either. 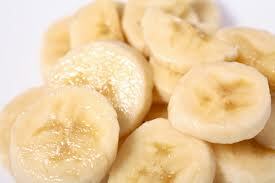 Here’s a quick and easy recipe using products you probably already have in your pantry for removing pesky eye makeup! I am obsessed with this smudge brush. I have to admit, prior to getting this brush, I wasn’t really very educated on what a smudge brush was and I never imagined it to work like it does (amazing!). This was $13 very well spent and I suggest everyone have this (or another) smudge brush in their makeup bag! I wear eye shadow pretty much on a daily basis. A lot of times I keep it relatively simple for work but when I’m doing something outside of work I like to play around with it a little more. 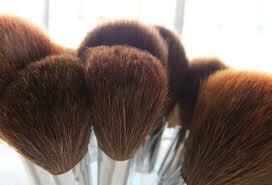 I recently tried a brown smoky eye look and with the help of this brush, it turned out really pretty! A big pet peeve of mine has always been when I try to create an eye look with different shades of eye shadow (such as browns, tans and gold) and end up with harsh looking edges. I’ve never been a fan of the harsh edges and could never really blend or fix them perfectly with any other brush or with my finger (had I only known about this smudge brush a long time ago!). Well, this brush cured my harsh eye shadow edges and gave me a very nice blended and polished look (without the harsh edges!). 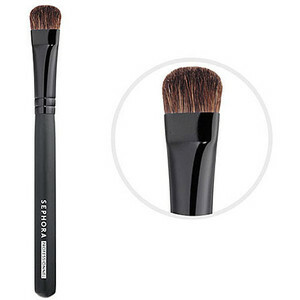 This brush is a must have for creating a smoky eye look too. You can control the level of smudging that you want because this brush provides an excellent amount of control. The size is small enough that you can smudge in just one specific area but not too small that you can’t smudge around the entire eye area. This brush has been holding up well for me so far. No bristle shedding or fraying. It also comes with a nice snap shut plastic lid that is great for keeping the brush protected and clean. This is a beauty brush that is a must have! I suggest it and can’t really think of any con’s so far since I’ve started using it. When I first started using cream eyeliner I had countless problems applying it and could never get my eyeliner to match from one eye to the next. I always seemed to apply more to one eye than the other or one line of eyeliner was always straighter than the other. 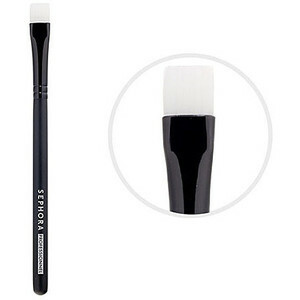 I purchased this brush from Sephora in hopes of being able to apply my eyeliner with more ease and precision than I seemed to be able to manage using any other standard eyeliner brush. This brush is designed to provide an even amount of eyeliner to the lash line for uniform definition. 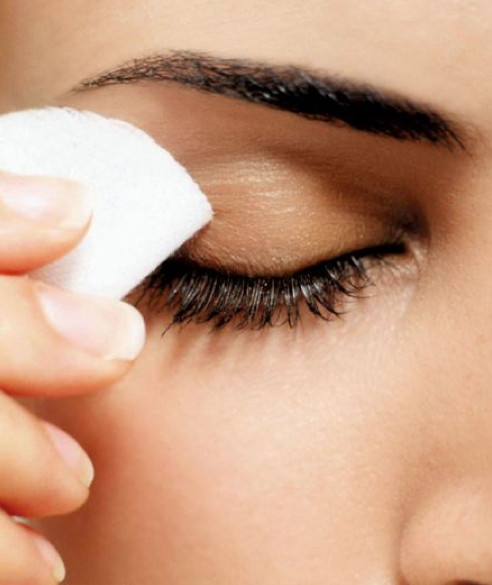 It also can be used to apply powder, cream or liquid eyeliner. I really don’t have any negatives to say about this brush. I purchased it while it was on sale so that price was really good and I’ve had it for well over a year now and it has been holding up great. I don’t use it on a daily basis and I do wash it and haven’t noticed any shedding or brush fraying. Overall, I’m really happy with the brush.